Below we address some of the questions we are often asked by parents of students preparing for their IGCSEs. If you have a question not discussed below, please contact us and a member of our team will get back to you promptly. What is the recommended way to use LST Resources? 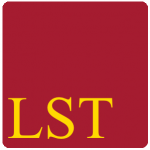 What level and topics do LST Resources cover? Do you provide resources for other subjects? Every year we hear of the difficulties faced by parents – we understand that there is very little support or guidance at this critical time in your child’s education. Confidence: To prepare and allow your child to go into the exam room feeling confident. Results: To improve your child’s academic performance, giving them the best educational opportunities for their future. Enjoyment: To share and instil a deep interest and excitement for Science and Maths. and are not sure how to most effectively use their time to study and revise Science and Maths. They feel overwhelmed by the amount and difficulty of the material they need to learn, understand and memorise – especially as they didn’t understand some topics – and put it off until the Spring instead of starting now. They do not realise the importance of the exams to their future – both for their applications to university and CV. Their exam technique requires improvement, but they do not know how to study and revise most effectively . We have found this to be the most effective way for children to learn, understand and memorise content. Structured Learning: There is a significant amount of material across multiple subjects for your child to learn – and it is naturally difficult to know where in the textbook one should start. Progressive Learning: Each new area in Science and Maths builds on the previous content. For example, there isn’t any point testing “ completing the square” if basic algebraic manipulation has not yet been mastered – this leads to time being wasted and result in decreasing confidence. Regular sessions: We suggest sessions take place at the same time each week and in the same, quiet location e.g. 2-4PM on Saturday afternoon in the study. Every year the most critical mistake from students is starting their revision too late. We cannot stress this enough – in order for your child to get great grades, they must start now. It is impossible for your child to learn and master all of the content for their subjects in the three weeks before the exams. As with exercise,a small amount regularly is much more effective and valuable than a large amount from time to time. 2 hours every weekend during term-time is much more effective than 8 hours once a month. We often hear that students are using the internet to revise – however we strongly advise against children working on the internet during study sessions – as we have found this decreases focus and retention, and children tend to become distracted and can equate the internet with browsing and games. “Open Book” Homework: allows your child the opportunity to become familiar with the content on their own terms and time using their textbook, Study and Revision Sheets. “Closed Book” Testing: To determine whether topics and approaches are entering into your child’s memory. ‘Closed book’ testing allows the areas that have not yet been internalised and remembered by your child to be identified. Also allows your child to familiarise and become comfortable with exam conditions. Identifying and understanding strengths and weaknesses across the syllabus allows your child to focus and spend time on any problem areas. Some areas of the syllabus are more fundamental and important than others. Areas that have not been mastered can be identified and focused on before progressing. Print off the Weekly Worksheet for your child to work through over the weekend – and let them work through it at their own pace and with our Study and Revision sheets or textbooks . Ideally this should be at the same time and place each weekend to develop good study habits. Let your child check through their work on Sunday evening easily and quickly with our worked solutions. Set at least one past paper every week for your child to work through under exam conditions. Check through the exam with our worked solutions and notes to determine which areas might need additional focus. Use our study and revision sheets for your child to review any areas that they haven’t performed well. Our study sheets break down topics into smaller, understandable chunks. Revision sheets identify the key areas. Colour coded by topic and numbered by level to allow learning to be easily structured. Use our IGCSE Holiday Workbooks during the holidays to structure studying while at home away from school. The workbooks include extra homework sheets, worked solutions, mark grids and calendars. If you feel that your child might benefit from one-to-one focussed assistance and supervision, we also organise in-person and online tutoring. We will provide further details regarding how we divide and structure the content by syllabus and tier shortly. London Science Tutors are specialists in Science and Maths Education. In addition to educational guidance and personal tutoring, we publish materials and resources for use by children at home and in schools. Our IGCSE resources are developed and tested by our experienced tutors – all of whom have strong Science backgrounds from either Oxbridge, Imperial or UCL. From our cumulative teaching experience, we understand the most effective ways to teach and structure Science and Maths material for learning. What is the IGCSE exam? IGCSEs (International General Certificate of Secondary Education) are a relatively recent introduction. They are increasingly being adopted by schools for Maths, English and Science as an alternative to the GCSE. They are commonly regarded as being “tougher” and more rigorous than GCSEs, and believed to provide a better path into A Level study. The IGCSE was developed by University of Cambridge International Examinations in 1985. This specification is popular internationally (and at International Schools in the UK), however most schools in England are taking the specifications offered by Edexcel and AQA. Edexcel have offered their IGCSE since 2009, and AQA have offered their IGCSE since 2011. IGCSE files available for download from our Past Papers page. Our resources are developed for 15-16 year olds, and have been developed as part of a student’s preparation for the IGCSE Science and Maths Exams. No, we specialise only in developing high quality resources for Science and Maths. Our focus and teaching experience has allowed us to develop a very deep understanding of the problems facing children and parents in Science and Maths. We build and test our own courses and materials for maximum impact and strong results.